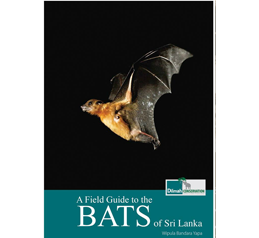 ‘A Field Guide to the Bats of Sri Lanka’ by Wipula Yapa, is the newest addition to the series of books published by Dilmah Conservation to encourage environmental education, and love towards nature among readers. This informative publication lifts the veil that banishes these creatures into cave dwelling pests. Instead, it brings to perspective the unique role played by them in creating forests, controlling insect population and balancing the harmony of the ecosystem. 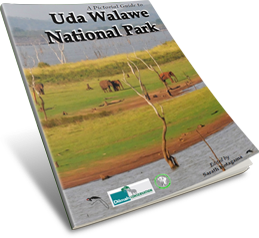 Documents the vibrant plant and animal life found in the Udawalawe National Park, which is also home to the Elephant Transit Home supported by Dilmah Conservation. This illustrated guide will no doubt serve as a valuable resource for park visitors and nature enthusiasts alike and help them learn more about the unique habitats and ecosystem found in this sanctuary. 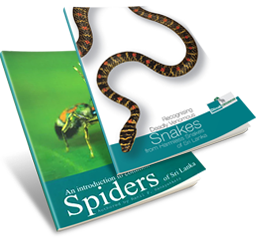 "An Introduction to Common Spiders of Sri Lanka" and "Recognising Deadly Venomous Snakes from harmless Snakes of Sri Lanka"
Mark the first of Dilmah Conservation's initiative to compile simple visual field guides towards not only making available current zoological research, but encouraging wider learning about overlooked or feared animals. This series of field guides is aimed at raising awareness and improving understanding among the general public, dispelling irrational fears and misconceptions and highlighting the important role played by creatures such as snakes and spiders in maintaining the balance of ecosystems. "Indigenous Communities in Sri Lanka: the Veddahs" and "Traditional Communities in Sri Lanka: The Ahikuntaka"
In line with Dilmah's commitment to empowering marginalised communities and helping them preserve their cultural heritage, Dilmah Conservation engaged in numerous initiatives towards documenting the disappearing customs and traditional livelihoods of the indigenous Veddah community and the nomadic Ahikuntika community. 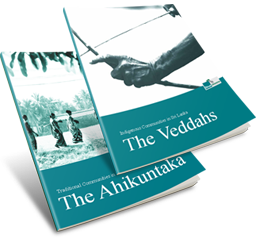 Indigenous Communities in Sri Lanka: the Veddahs and Traditional Communities in Sri Lanka: The Ahikuntaka are a culmination of these efforts, chronicling the oral histories, heritage, lives and occupations of members of these communities. The Veddahs publication in particular delves into the rites and rituals of the Coastal Veddah community scattered in Sri Lanka's East; a group that has been largely overlooked and excluded as a consequence of the war. 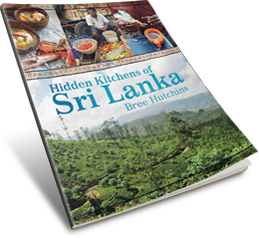 By Bree Hutchins is a delightfully quaint culinary journey through the lesser known kitchens of Sri Lanka which produce some of the most exquisite dishes. The book includes over 60 unique recipes collected from around Sri Lanka and includes street food and other little known home cooked delicacies. Published by Murdoch Books and sponsored by Dilmah Tea, Hidden Kitchens also features recipients of the MJF Charitable Foundation’s Small Entrepreneur Programme (SEP) and their different culinary creations. The book touches on their life story along with the historical and cultural background to the food item and the communities where it comes from. Bree Hutchins hails from Australia and is a lawyer by profession who chose to take up her passion of living from food and travel photography. This is her first publication. An exploration of gastronomical delights to suit the senses and every mood! It is a must read for all tea aficionados and the hospitality sector. The publication will take the reader through the culinary world where tea infused masterpieces are brought to life. 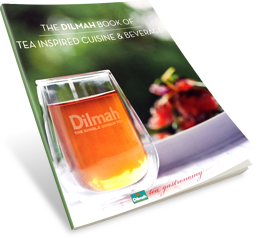 Containing over 450 Tea Mixology and Tea Cuisine recipes and images from across the globe, it is yet another first among Dilmah's innovations. Every purchase will contribute US$ 10 towards the establishment of culinary schools for underprivileged youth in Sri Lanka. This is an endeavour between the World Association of Chefs Societies' (WACS) charity arm Chefs without Borders and the MJF Charitable Foundation. 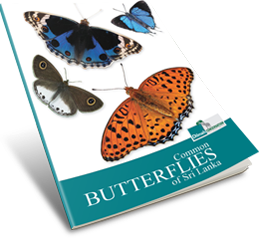 Common Butterflies of Sri Lanka is an illustrated field guide featuring 100 of the most common butterflies found in Sri Lanka. Authored by Himesh Jayasinghe, an independent researcher in the field of ecology with special focus on butterflies and their conservation, and the founding president of the Butterfly Conservation Society of Sri Lanka, the guide provides comprehensive information on identification, habitats, habits and die of Sri Lanka's diverse butterfly species for amateurs and enthusiasts alike. Dilmah is also engaged in the establishment of butterfly gardens towards supporting their conservation in urban environments.